Tag Archive | "Freshwater Clam (Corbicual sp.)" 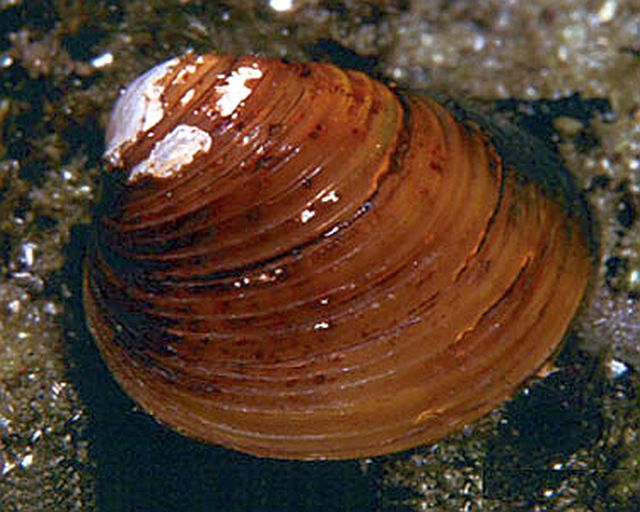 The Freshwater Clam (Corbicual sp.) is a temperate species that inhabit rivers and lakes throughout the world. The pictured specimens comes from Southeast Asia where they are also known as “basket clams” and only grow to about 2 1/2″ in width. Freshwater Clams are actually living filters. They are an oddball item that some tropical fish keeping enthusiasts use to help maintain water quality in an aquarium. Freshwater Clams siphon detritus and uneaten food from the water column, clean the water, and naturally lower nitrate levels in the aquarium. Corbicual sp. should only be kept in tanks with a fine sand or very fine gravel substrate. When placed on the substrate, they will bury themselves into the sandy bottom until only their siphon tubes can be seen above ground level. Although these bivalves can be used to help filter the water in any aquarium, several things should be kept in mind before using them. They must be regularly fed and invertebrate food mixture . Do not keep them in aquariums with freshwater puffer fish or other invert eating species. Do not place them into aquariums that have not gone through the Nitrogen cycle. Do not place tap water into an aquarium with freshwater clams. The chlorine is toxic to them. Do not use any copper based medication with Freshwater Clams. Copper in even minute quantities will kill them. If your fish need a copper based medication, remove the clams into another aquarium until the treatment is completed and all traces of copper are chemically removed from the tank. Water changes will not remove all the copper from the aquarium. Remove and dead specimens from the tank immediately. 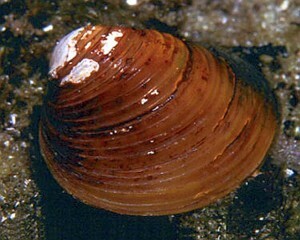 Freshwater Clams in the family Corbiculidae are ovoviviparous and release many juveniles into the surrounding waters that have hatched inside the clam itself. Fertilization is internal and the juveniles are much smaller than Pea Clams or Fingernail Clams of the related family Sphaeriidae. Although some very small Freshwater Clams do not need any special feeding, most tropical fish keeping enthusiasts augment their natural filter diet with and invertebrate food. 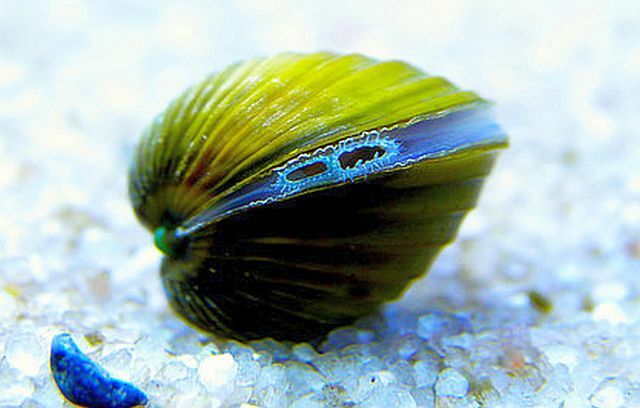 Most freshwater clams in an aquarium environment, even with a full load of fish, will need an additional food source to what they can siphon from the water column. We highly recommend that you avoid keeping clams in a community aquarium setting as they are destined to die from starvation. Although they can be successfully kept in a biotope setting when regularly fed with an invert food mixture, most tropical fish keeping enthusiasts have much better success keeping freshwater clams and mussels in ponds where the water is usually substantially dirtier and full of microorganisms for them to filter feed on. When available for sale, these little “living filters” can be from 1/2″ to 3″ in width, depending on the species.